If you see Jamie Foxx in public and you cannot recognize him all that easily, you will from now on. Many celebrities drive cars which are rare, and usually, they buy special edition models that are produced in limited numbers. Hollywood actor Jamie Fox went a step further, and the car chase film called Baby Driver in which he appeared influenced him in a way. Namely, he posted a photo posing next to the extreme SUV – an armored Rezvani Tank! This vehicle looks as ludicrous as the gold Bugatti Veyron Foxx has recently shown to the public. The car (if we can call it that) was presented in October 2017, and Foxx was the among the first one who purchased this model. 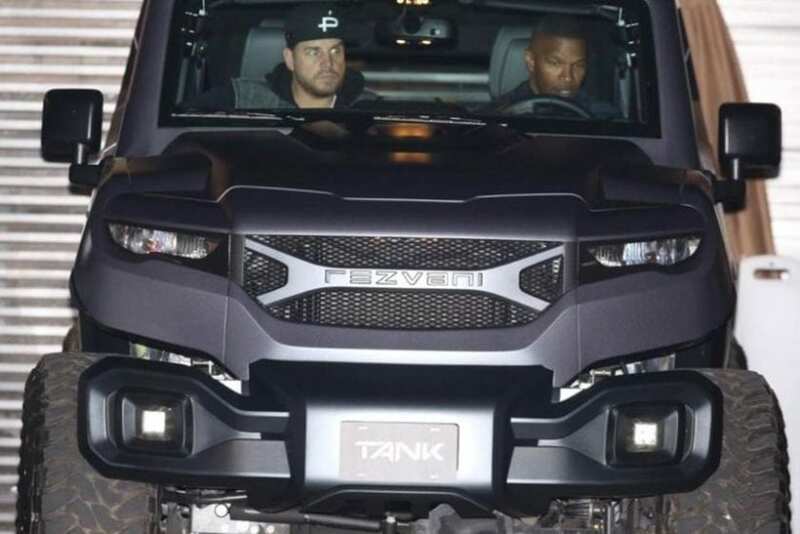 There is a possibility that the vehicle is loaned to the Hollywood star, but either way, he was spotted behind the wheel of the Tank in the streets of Malibu. If Foxx wanted to stand out in the crowd, he could not choose a better car than the military-inspired Rezvani Tank. The Tank comes equipped with extreme features which include a body-on-frame design, top-of-the-class suspension, and on-demand FWD configuration. Some of the optional features you can equip are thermal night vision, bulletproof glass, military-grade run-flat tires and ballistic armor protection. 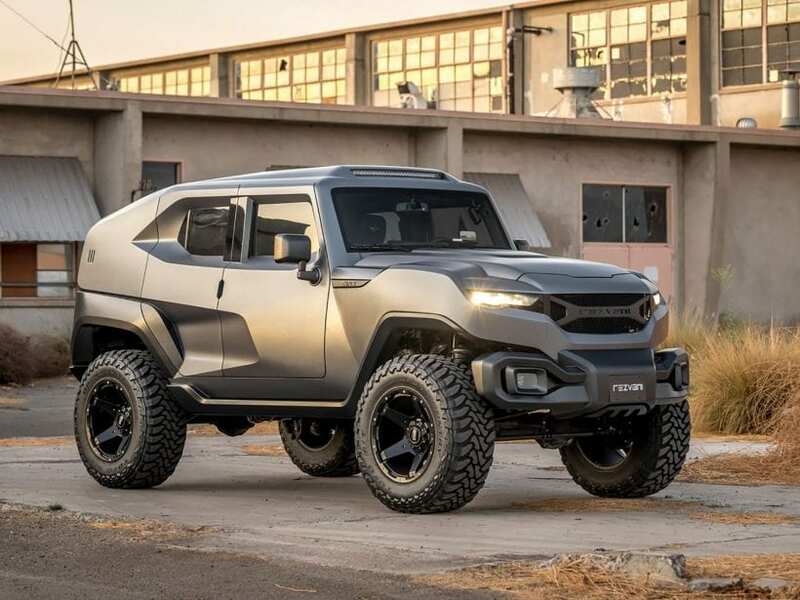 This monster is powered by a 6.4-liter Hemi V8 engine that generates 500hp, but the less expensive V6 Rezvani Tank is now available as well. The starting price of the V8 model is $178,500, while the V6 Tank costs $146,000. 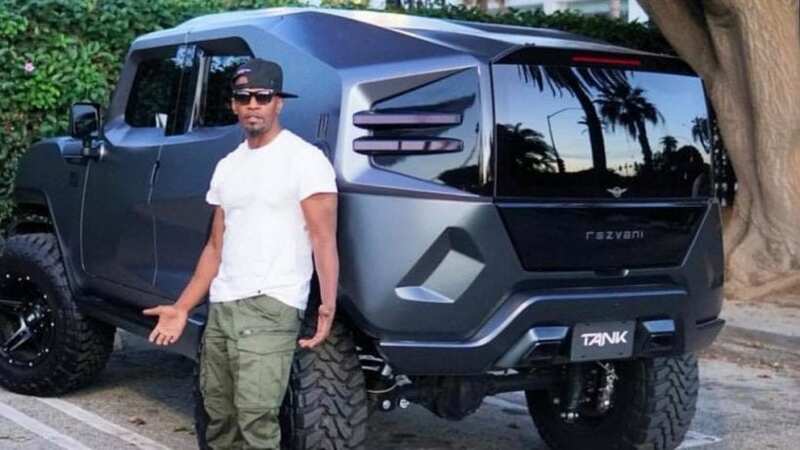 We are just wondering why Jamie Foxx needs all the protection featured on the car. Who cares? He is probably just showing off.